Share the post "Embolization Helped Reclaim My Life"
After a myomectomy and surgery complications, Kristian’s fibroids returned. She had a non-surgical treatment called Uterine Fibroid Embolization and was able to reclaim her life. 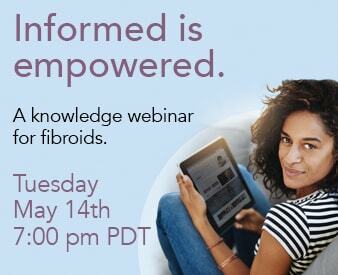 "Honestly I would say if you have fibroids, please take control of your body, of your life, do the research, because there are options."